Researching retail is fascinating. Whilst always a dynamic and exciting category it has recently become even more so, as brands seek to seamlessly join their digital and non-digital offers. The ultimate aim is to present customers with a slick and enjoyable experience, minimising the opportunities for customers to disengage and maximising share of wallet. Whilst preventing people from leaving the purchase funnel is of huge importance, there are some other considerations identified from research carried out specifically around fashion retail that can play a significant role in whether or not a sale is achieved. Chief amongst these considerations is increasing the likelihood that shoppers will plan a visit. Across both digital and physical stores, if a visit is planned, a sale is 2½x more likely. Furthermore, planned visitors are 2 times as likely to visit again in future. Interestingly, this is irrespective of how close the shopper is to the brand initially. Planned visits tend to be in the minority (around 20% of shoppers), with the majority of decisions around visiting a particular store or site made on an ad hoc basis, whilst browsing online or wandering through the mall. Obviously, converting these ‘floating’ shoppers with a clever media strategy that interrupts them at the most opportune time is essential, especially as there is probably a limit to the number of planned visits that can be achieved. However, given the role they play in maximising the aforementioned share of wallet, growing the 20% of planned visits is a proven way of achieving growth. So how can we drive shopper planning? Some of it comes down to old-fashioned top of mind awareness and saliency in what can be (especially in the world of fashion retail) a very crowded landscape. How we drive those metrics should come as no surprise; traditional ATL and BTL communications designed to hit a broad audience allied with more tailored digital and social media campaigns with a more emotional connection in mind. CRM can also play a crucial part, tailoring the engagement and rewarding loyalty. What may come as a surprise is the extent to which the ‘basics’ mentioned above aren’t done correctly or often enough, meaning that awareness is subject to peaks and troughs which, in turn, affect the extent to which visits are planned. In recent conversations with clients, we are also seeing marketing spend diverted from those ‘basics’ into other areas, such as the blending of digital and non-digital customer experience mentioned earlier in this article. The former issue can be addressed by taking a slightly more radical view of brand impact marketing, perhaps by adopting an ‘always on’ strategy which substitutes big, infrequent and expensive campaigns with a cheaper more agile alternative that maintains a more consistent presence. The latter is about understanding priorities. Getting the customer experience right across all of your properties is essential, however, it should not come at the cost of driving planned visits impacted by more traditional metrics like awareness and saliency. For the health and wellbeing of retail there needs to be room for both. 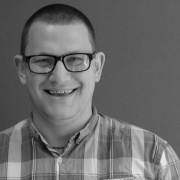 Sam Elphinstone is Head of Research at the numbers lab, Firefish’s quantitative business. His expertise focuses on understanding how brands interact with consumers. He is a specialist in consumer experiences, how people react to them and their subsequent impacts on behaviour.